Key in your desired quantity for each flavour above and we will calculate your discount for you instantly! 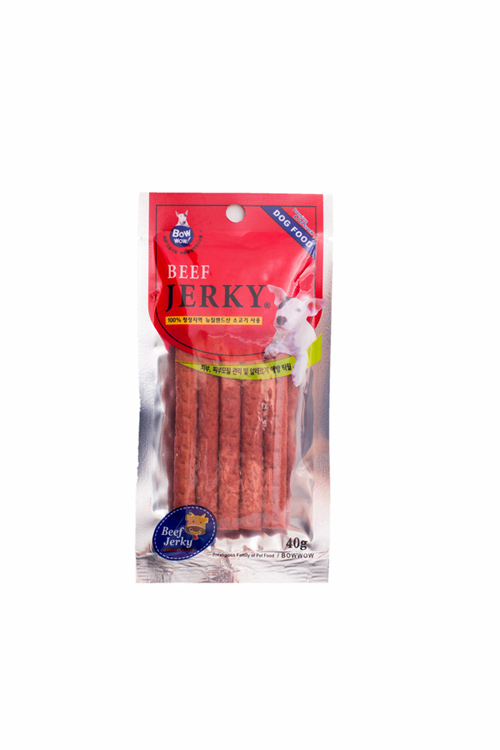 They are naturally air-dried, hence retaining its natural meaty flavor and soft chewy texture. Low in fat content and high in protein. It is the perfect reward treat for your pet! 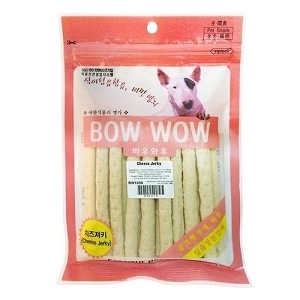 Bow Wow sticks are made with wholesome quality meats. They are easily digested, low in fat, calories and salt – making it a healthier indulgence! 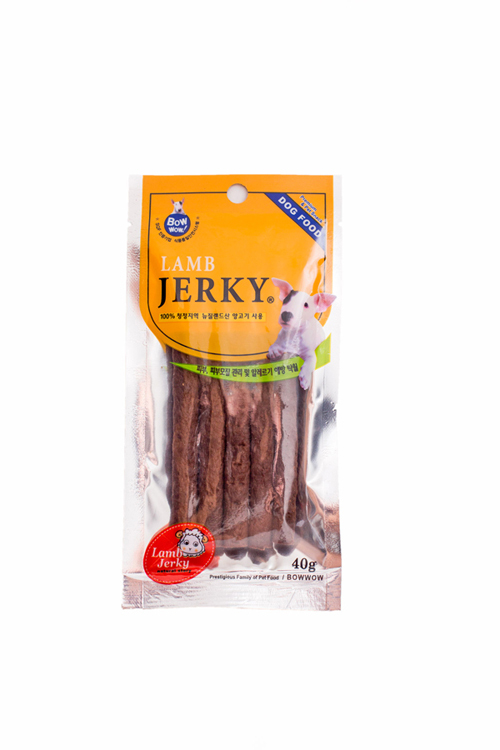 Bow Wow lamb jerky is made with fresh meat from New Zealand. Bow Wow beef jerky is made with fresh meat from New Zealand. 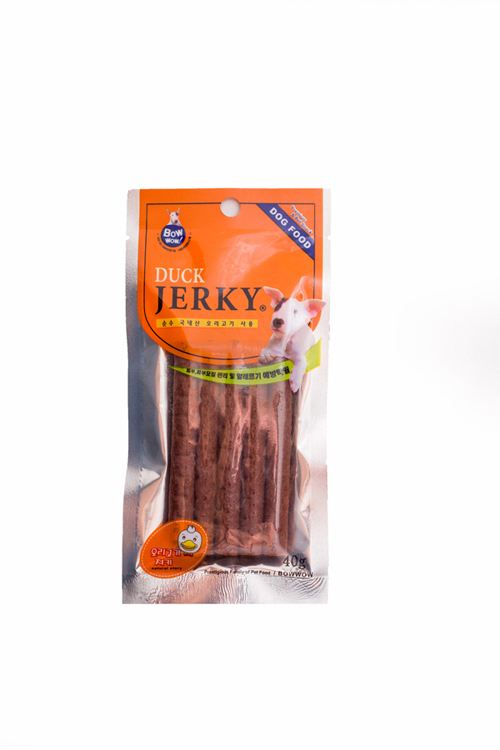 Bow Wow duck jerky is made with fresh meat from New Zealand. Can’t decide between salmon or cheese? Why not have both? This delicious soft treat is a combination of fish meat with great tasting cheese flavour. Guarantee to tickle your pets’ tastebuds so much that he'll come begging for more! Can’t decide between chicken or cheese? Why not have both? 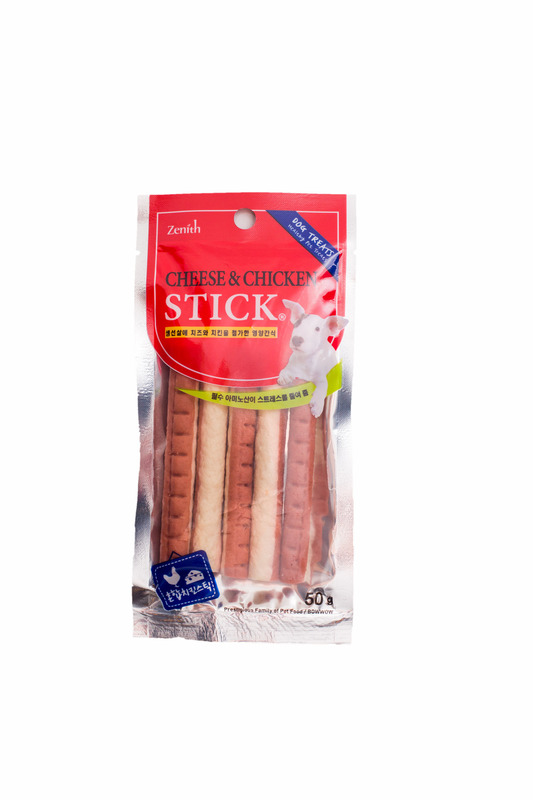 This delicious soft treat is a combination of chicken meat with great tasting cheese flavour. 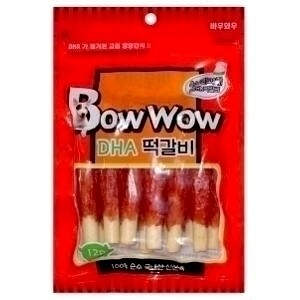 This Bow Wow cheese stick is an all-time classic and well-loved treat among many pets for years. Complete your pets’ meal or playtime with this simple soft snack. Packed with real cheese flavour with no artificial flavourings. It deliciously fuss-free and it will leave a big cheesy grin on your pets’ face. 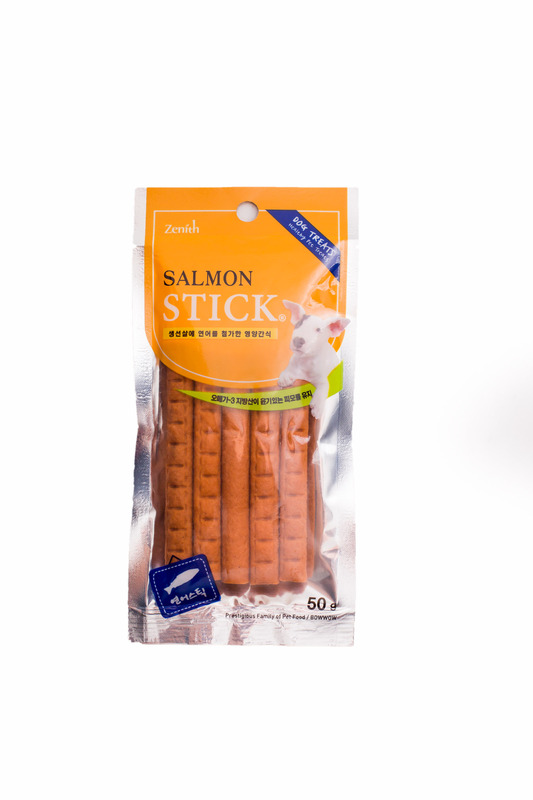 This Bow Wow salmon stick is an all-time classic and well-loved treat among many pets for years. Packed with natural meat flavour with no artificial flavourings. It deliciously fuss-free and it will have your pets begging for more. 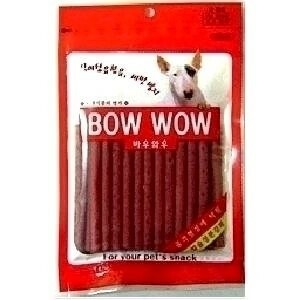 This Bow Wow chicken stick is an all-time classic and well-loved treat among many pets for years. Complete your pets’ meal or playtime with this simple soft snack. Packed with natural meat flavour with artificial flavourings. 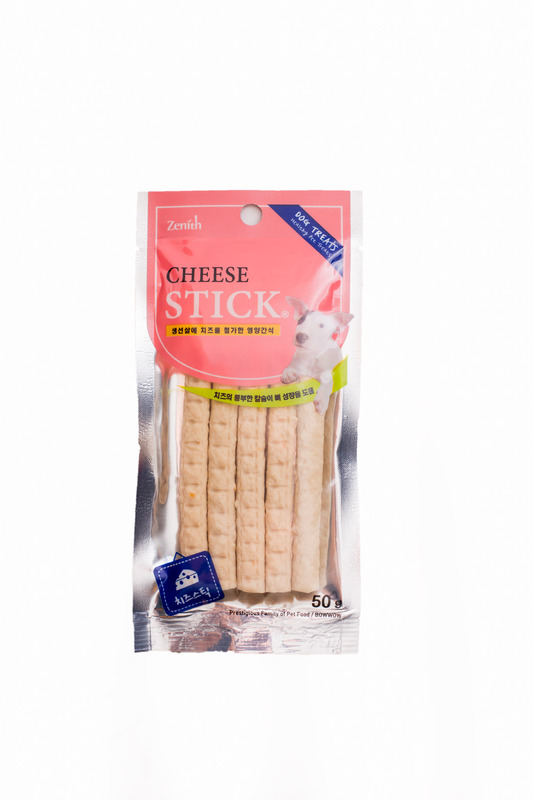 Treat your dogs to this authentic taste of cheese sausage, without the calories, salt, fats or preservatives. This delicious indulgence is packed with flavour and made with fish meat and cheese! It is perfect for carrying around as each sausage is individually wrapped for optimal freshness! Can be fed whole or cut into pieces for rewarding or training your dog. Treat your dogs to this authentic taste of ham sausage, without the calories, salt, fats or preservatives. This delicious indulgence is packed with flavour and made with pork meat. 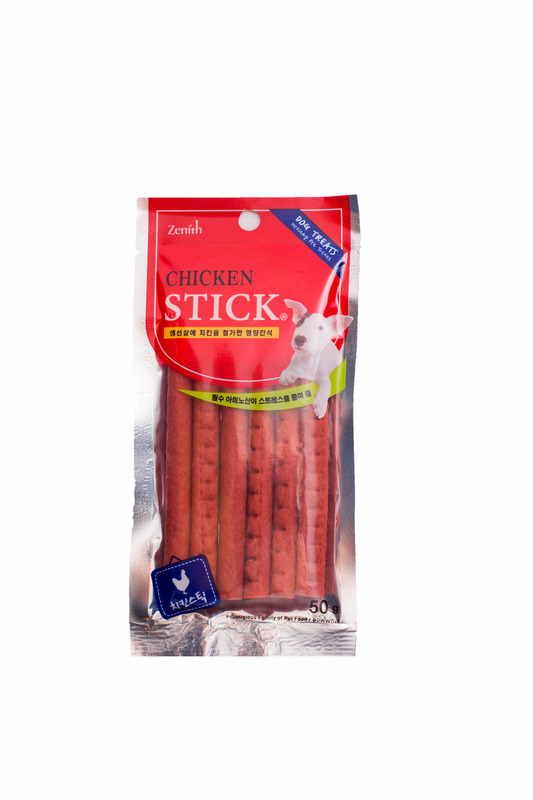 Treat your dogs to this authentic taste of chicken sausage, without the calories, salt, fats or preservatives. This delicious indulgence is packed with flavour and made with real chicken meat.